TASTING NOTES: This beautifully balanced wine is strongly marked by sweet black Merlot fruit character, with impressions of ripe, concentrated berries in the aroma offset by restrained notes of spice, vanilla and cedar. 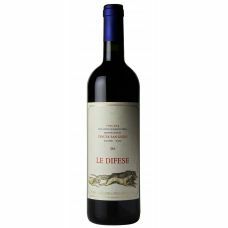 These carry onto the palate, which shows an elegantly supple texture supported by ripe, silky tannins, ending in a long, refined finish. TECHNICAL NOTES: The vinification facility for Guidalberto is a converted olive-oil mill at Tenuta San Guido which has been equipped with stainless steel tanks and independent cooperage. Fermentation takes place separately for each variety at a maximum temperature of 30º C (86º F), with a maceration period of fifteen days for the Cabernet and Merlot grapes and twelve for the Sangiovese. Malolactic fermentation is completed by the end of November. 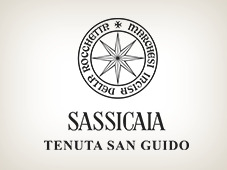 Oak aging takes place over twelve months in 225 liter French and American oak barrels, 30 percent of which are new and 70 percent of which are from prior vintages' use for Sassicaia. 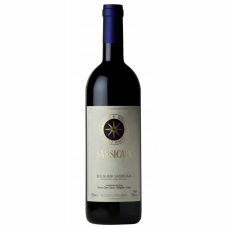 The wine is released two years after the harvest and is “made to drink while you wait for your Sassicaia,” says Sebastiano Rosa. Variental 45% Cabernet Sauvignon - 45% Merlot - 10% Sangiovese.